As my friend John Wiswell recently pointed out, National Novel Reading Month, or NaNoReMo, is almost upon us. National Novel Reading Month is when we look to the sad state of our reading lives, the classics that we have shamefully avoided or haven’t had the time to enjoy. Excuses, excuses. I am so poor in my classical reading that it’s not funny, it’s tragic. There are hundreds of classic books that I’ve yet to read. NaNoReMo is when I get a chance to help rectify that pitiful condition. Last year, I read these two wonderful books. But before I read them, I downloaded a huge pile of free Kindle classics to my iPhone. I have a lot to choose from this year. I’m going in circles trying to decide what book to read. I made a list of those that I would consider “classics” and filtered that into a shortlist of four books I thought I might be able to choose from. Now, I need your help. Let me know what you think of any, or all, of these books in the comments. You’re opinion may be the one that leads me to my new favorite classic. 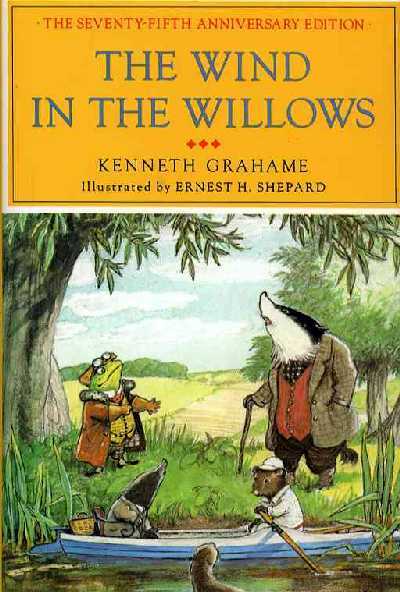 The Wind in the Willows, by Kenneth Grahame. How my childhood missed this classic fantasy, I don’t know. As a fan of fantasy, and animal fables (Chronicles of Narnia; Watership Down; One for Sorrow, Two for Joy, etc…) I have always hungered to delve into this tale of forest creatures. 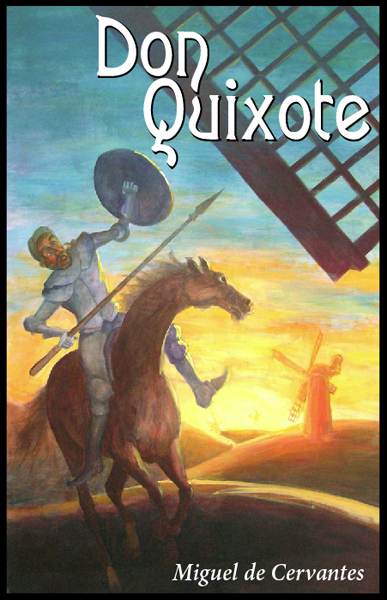 Don Quixote, by Miguel de Cervantes Saavedra. I’m taking Spanish 2 and have this book on my Kindle app in both English and Spanish. Wondering if reading it and comparing the two would help me get through the class a little better. I’d like to read this at some point in my life, but not sure now is the time. 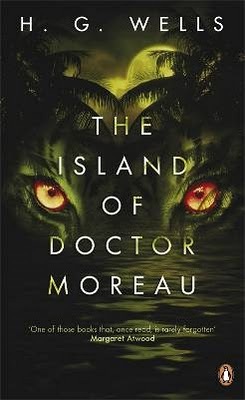 The Island of Doctor Moreau, by H.G. Wells. I loved War of the Worlds, and this sounds like a really cool book. I’ve also never entirely read The Time Machine. I’m not listing it because I read about a third of it and then got sidetracked. I would like to finish that book someday. But the Island of Doctor Moreau has always appealed to me. It sounds like a cool, mad scientist story. I’d like to find out someday if I’ve judged the book by it’s title correctly. 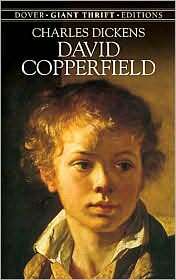 Last book I’m considering is David Copperfield, by Charles Dickens. I’ve read (and dearly love) A Tale of Two Cities. It’s one of my favorite classics. I have not read another Dickens book and I need to remedy that. Soon. Not sure if this is the next Dickens book I need to read or not. I’ve considered others, Oliver Twist and Great Expectations. Would love to hear what my reader/writer friends think on the matter. So, friends, what classic book do you think I should tackle for National Novel Reading Month? NOTE: Read John Wiswell’s post for more information, if you’d like to participate in National Novel Reading Month yourself. I cherish the time off I have between college terms. I haven’t had a whole lot of time off lately: my last two terms only had a week and a week-and-a-half between them, so needless to say, I’m feeling a bit burned out. I’m going to take this month I have off between now and the start of the fall term (which will be my final term at the community college before I transfer to my bachelor’s program…god knows where) to finish up a few writing projects and at long last get started on formatting my book of short stories for Smashwords and Kindle. I’d like to see Kill the Crow come out early in 2013. I hope to round up some beta-readers for it and try to find an decently priced editor (if I can) before the end of the year. If you are interested in beta-reading the book, please let me know. I need to finish some stories for the book, too. 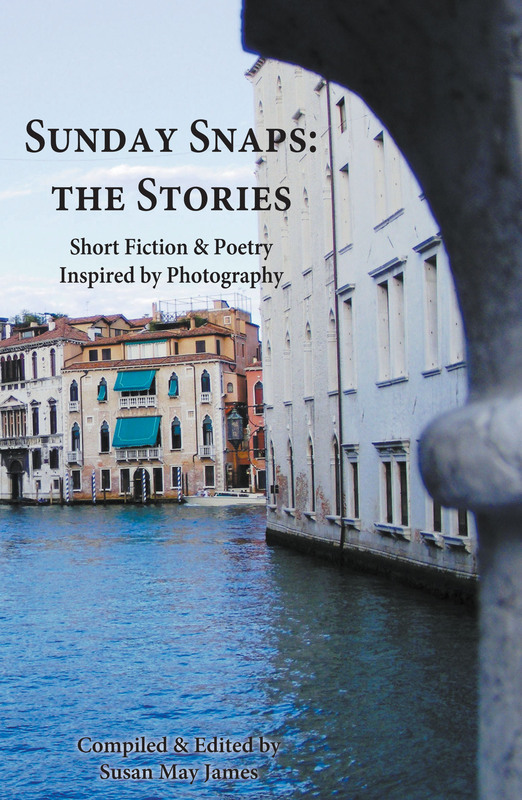 I have three open stories that I’d like to fit into the anthology, including the title piece. I’m waiting for two stories to be published in other anthologies so they can be added, as well. How to get things done if you’re a scatterbrain like me? Well, one of my favorite ways of holding myself accountable for my actions is by making lists. I like lists. I look at a list and go “Oh, there’s that item I need to do.” I feel a sense of profound contentment, and a certain amount of evil pleasure when I check things off the list. Check. Murdered another one! Another method of personal accountability for me is taking that list and going public with it. 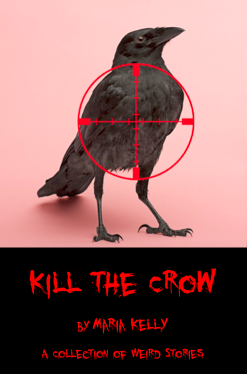 Finish short story: Kill the Crow and the other stories that I need to get done for the book and for The Were-Traveler, etc. 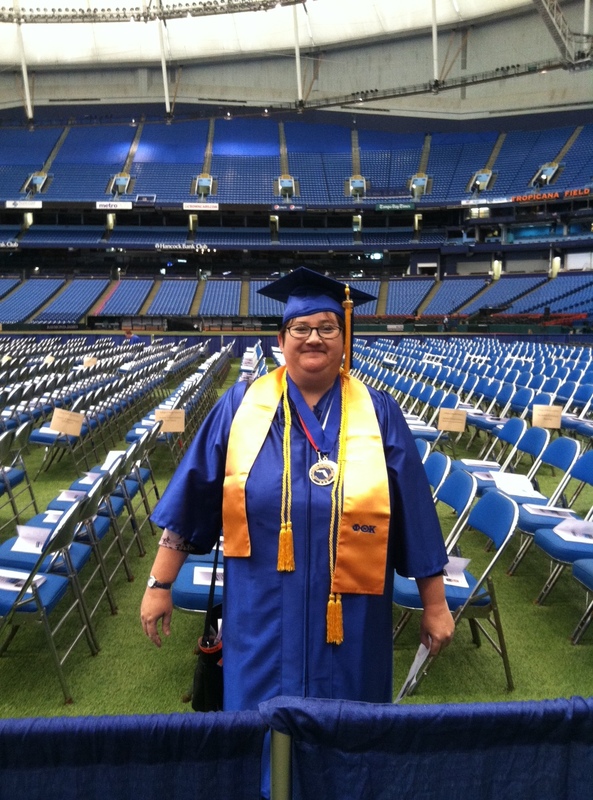 Start the story I want to submit for consideration to Nota Bene, the fiction journal for Phi Theta Kappa. 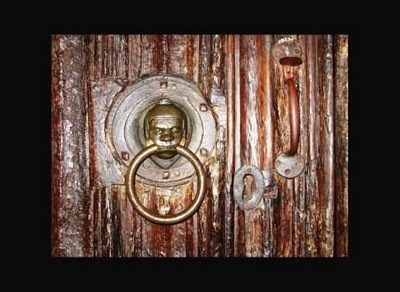 Right now I have an idea for this, but it’s speculative fiction, although it’s literary speculative fiction. Have to see where it goes, but I definitely want to submit something to this. Finish outline for Waking Annastella. This is my “Sleeping Beauty in Space” science fiction story that I’ve been working on. I have the first chapter and part of the second written already. Begin formatting Kill the Crow for Smashwords. Blog something at least once a week! This is probably as much as I dare to try and accomplish in a month, since I will also be putting a lot of my energy into applying to transfer colleges (writing college essays) and trying to acquire scholarships to see me through the pursuit of my bachelor’s degree. Be on the lookout this summer for a lot of #amwriting and #wordmongering from me. Who knows, maybe I’ll even get to participate in a #FridayFlash! After I posted the preliminary book cover on Facebook and asked for some opinions, a Twitter friend suggested the crow image would look cool with a gun-sight over him. 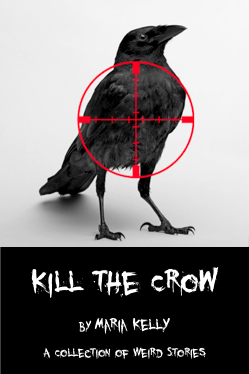 Another Twitter writer friend (who is an ace at graphic design) offered to add the gun-sight for me. Icy Sedgwick did a great job, and even made a couple of monotone versions, which I think are fabulous. I’m asking for your help. This is all kind of new to me, so, before I show off the new covers, I need some other advice. What market should I put my baby in when it’s finished? Smashwords, or Amazon Kindle? “Kill the Crow” will be a collection of short stories. Right now, I’m still trying to decide if the stories in the book will be strictly horror or if I’ll also include some sci-fi & fantasy pieces. Please give me some advice love in the comments below. Cover #1. Rose background, white text. 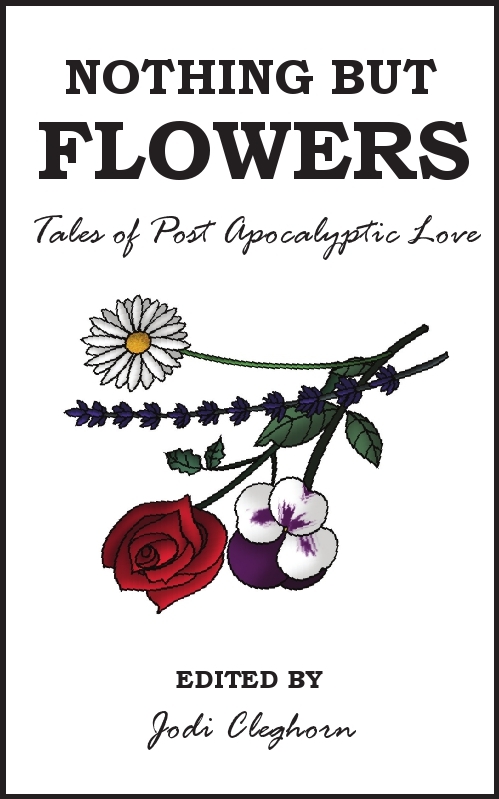 Cover #2: Rose background, red text. Cover #3: Mono background, white text. Cover #4: Mono background, red text. Cover #5: Mono background, white text, blurred gunsight. Cover #6: Mono background, red text, blurred gunsight. I like the last two, because the blur on the gunsight makes it look more realistic to me. Also, if you have any links to articles or blogs that can help me as I take my first tender baby steps into the world of Indie publishing, I’d really appreciate it. I have a whole month off from classes coming up, and I intend to read up on self-publishing in my spare time.